Anita Dongre is a designer known for her excellent colour palettes, commitment to sustainability and revival of traditional embroidery and craftsmanship. Her bridal collections are the epitome of luxury, centred always on the majestic history of her beloved Rajasthan. However now the designer has released a new collection, One World, which answers the sartorial desires of the millennial bride. The line is inspired by universal love, one unobstructed by race, culture or boundaries. 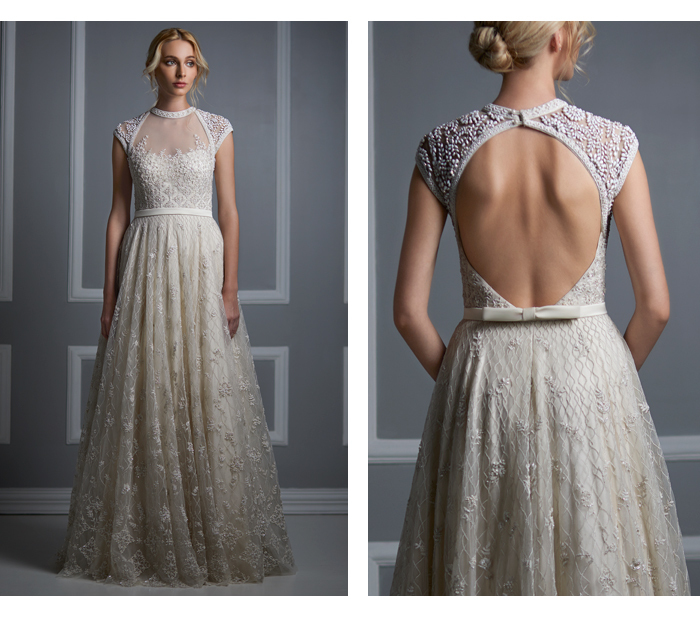 It comprises a series of elegant bespoke bridal gowns, exclusively available at her flagship New York store. In fact, it was the Big Apple that inspired the collection. Dongre says: “New York is a hub of diversity. Multicultural marriages, embracing all customs, are on the rise; a marriage today might be an amalgamation of a white wedding as well as a traditional Indian wedding. On the insistence of one such elegant bride, we stepped into the beautiful world of designing white gowns. And what a joy it has been to work with pristine whites. It’s a different world from the Indian reds and pinks, and enjoying the creativity and the space both provide is exhilarating. 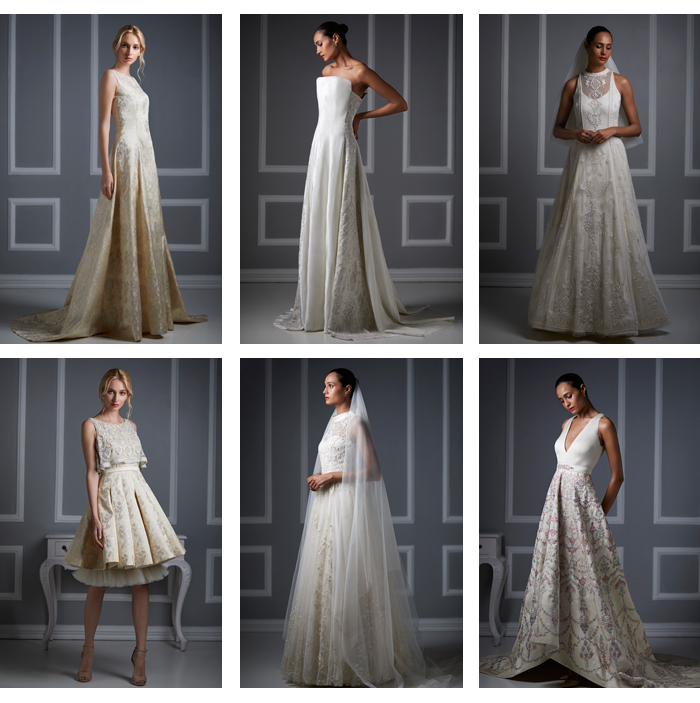 So, here we are, in the city of dreams, just in time for New York Bridal Week with a limited edition collection of 24 bespoke bridal gowns”. The limited edition range brings together two worlds, marrying traditional elements with modern aesthetics. 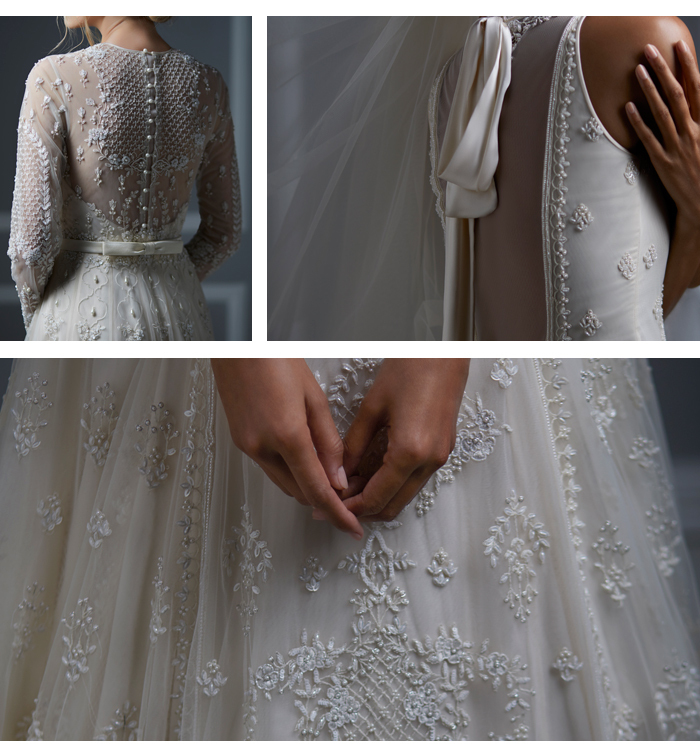 Each gown in the collection is intricately handcrafted using Indian motifs. White beads and sequins come together to create a pattern on tulle, with body flattering cuts and silhouettes, lending a surreal feel to each style. Pretty bows, delicate laces and sheer detailing further add to the effortless elegance of the collection. For more than a decade, Anita Dongre has been the go-to designer for Indian brides all over the world. Bridging India’s supreme craftsmanship with global luxury couture, her collections are made for the fashion forward bride of today who values the essence of slow handmade fashion.